Amazingly, Congress Actually Got Something Done : It's All Politics The leaders and members must, in a word, compromise. And on this occasion, Speaker John Boehner and Minority Leader Nancy Pelosi did just that, with skill and savvy. House Speaker John Boehner takes the gavel from Democratic Minority Leader Nancy Pelosi Jan. 6 at the start of the 114th Congress. They said it couldn't be done. And for more than a decade they were right. But on Thursday, staring at a deadline that could have disrupted health care to millions of seniors, the House got something done. It voted to fix the flawed formula for compensating doctors who provide services to patients under Medicare. But this time it wasn't just a patch for a few months or years — like the ones Congress has done 17 times since 2003. This time it was permanent, if the Senate gets on board in a timely manner. If the Senate goes along, as expected, it would eliminate one of the most painful, recurring embarrassments afflicting Congress — the "Doc Fix." And that would prove that doing a deal can still triumph over dysfunction. There will still be lots of other deadlines: for the budget and the Highway Trust Fund and the debt limit and borrowing authority. But at least Congress will not be coming to the brink of breaking Medicare, session after session. "This is the work of a collaborative body," said Rep. Michael Burgess, R-Texas, the bill's lead sponsor. And maybe, just maybe, that collaborative thing could catch on. "I hope this bipartisan approach is contagious," said veteran Rep. Jim McGovern, D-Mass., a sentiment heard from many throughout the day on both sides of the aisle. And here's the really amazing part. When the deal got done, the House gave it 392 votes of approval. Only a handful of budget hawks held out for fuller funding (and less reliance on deficit funding). By far, the majority of the House Republicans saw the fiscal wisdom of a permanent fix. When a vote is that lopsided, it usually means the issue at hand is both noncontroversial and cost-free. This still happens fairly often on commemorative resolutions and other ho-hums. What has been rare (to the point of extinction) is this kind of huge margin on a live and long-standing point of partisan contention. To get to 392 on something as battle-worn as the Doc Fix requires some accommodation, some give and take. The leaders of both parties must defang the issue and disarm their respective hard-rock partisans. The leaders and members must, in a word, compromise. 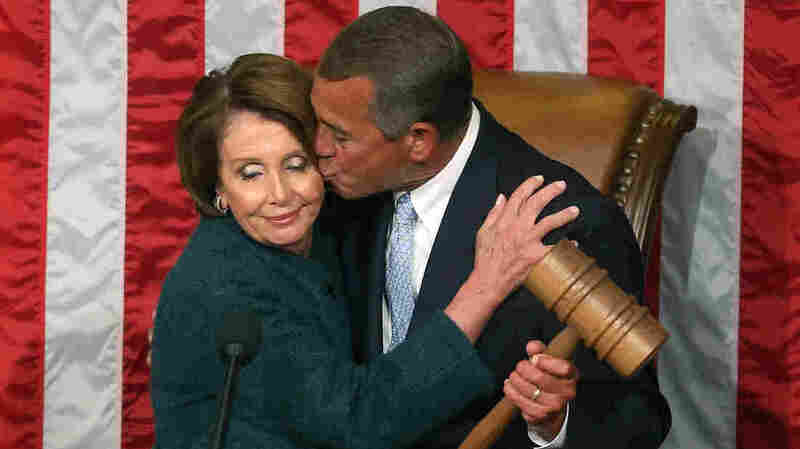 And on this occasion, Speaker John Boehner and Minority Leader Nancy Pelosi did just that, with skill and savvy. Republicans were brought on board in part by the physicians and other health care professionals within their ranks, starting with Burgess. Democrats were also eager to vote for community health centers and for two more years' funding for the Children's Health Insurance Program. 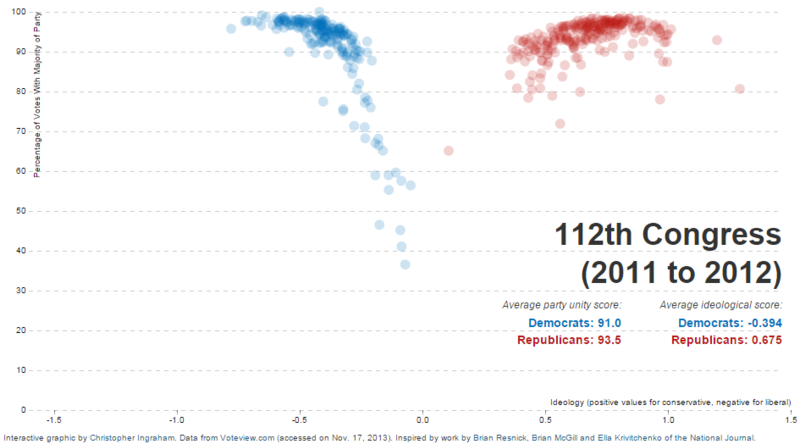 So it turns out that House members can cross the proverbial aisle, which in recent years has become more of a DMZ. Study after study has shown that the current Congress has historically high levels of partisanship, driven by ideologues and factions, especially in the House. Subcaucus groups proliferate to the right of the Republican leadership (the newest being the House Freedom Caucus, a Tea Party rival to the Republican Study Group and Heritage Action), while the Democrats' centrist group known as the Blue Dogs has dwindled since 2010 from 54 members to just 14. The Senate too has become more partisan, with filibusters and other procedural maneuvers making the legislative gantlet more perilous than ever. And the Senate will need to sign off on the House's Doc Fix before it goes to President Obama (who has pledged to sign it). But on this occasion, at least, the House has shown the way.